High-fructose corn syrup (HFCS) is a sweetener that is derived from processed corn syrup. The flavoring agent is similar in structure to table sugar as it contains both glucose and fructose. According to an article featured on the Health Line website, the use of HFCS became popular in the late 1970s due to sugar’s high prices and corn’s relatively cheap rates from government subsidies. The sweetener is primarily used in the United States to flavor processed foods and soft drinks. Producers of HFCS usually use genetically modified corn varieties to make the sweetener. The corn is first milled to make corn starch, then is subjected to various other processes to produce the syrup. 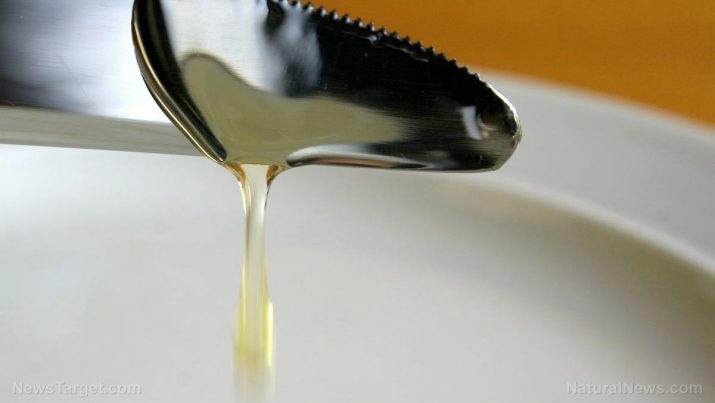 Since corn syrup is made mostly of glucose, some of the glucose molecules are converted into fructose to make the syrup sweeter and attain a flavor that is similar to that of sucrose or regular table sugar. The fructose levels in HFCS vary among available products. Some of the most concentrated forms of HFCS contain as much as 90 percent fructose. High-fructose corn syrup is classified as an added sugar and as an empty-calorie food fare. This means that HFCS contains relatively high amounts of calories and no essential nutrients. Thus, increased intake of foods that are rich in HFCS may provide less room for nutrient-dense foods and therefore reduce the total nutrient content of the diet. 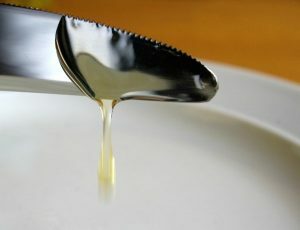 The sweetener is found to be easily converted into fat, which raises the odds of obesity and other related complications. Fructose is metabolized in the liver and is converted into glycogen. However, the liver has a limited storage capacity and thus converts excess fructose into fats. This accumulation may lead to fatty liver disease, according to another Health Line article. The harmful flavoring is also known to cause excessive weight gain. A previous study has demonstrated that fructose did not activate brain regions associated with appetite control in the same manner as glucose did. Fructose is also shown to cause visceral fat accumulation, which raises the odds of diabetes and heart disease. Consuming foods high in HFCS may lead to insulin resistance and subsequent decline in the body’s ability to effectively metabolize and digest carbohydrates. This, in turn, elevates blood sugar levels and the risk of developing type-2 diabetes. Excess fructose levels are also tied to the onset of inflammation, which raises the likelihood of heart disease. Likewise, increased inflammation and uric acid production may result in gout. Furthermore, excess fructose intake may give way to the proliferation of harmful substances called advanced glycation end products that speed up the body’s aging process and increase the odds of cancer. High-fructose corn syrup particularly affects the digestive tract. Likewise, the harmful ingredient negatively impacts the body’s cardiovascular profile and bone health. HFCS causes excessive weight gain and fatty liver disease. HFCS raises the odds of developing diabetes and heart disease. HFCS speeds up aging and increases the risk of cancer and gout. HFCS is particularly harmful to the digestive system’s overall health. HFCS negatively affects the body’s cardiovascular profile and bone health.